I was very tempted to make this post a sticky but considered the pun too obvious! There are scores of words in the food-word category that just drip with beauty and meaning. 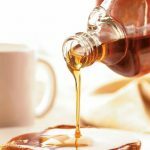 I love the word syrup and all its thick viscosity that just oozes with association. Surprisingly though molasses eases off the tongue far too readily for a word with that connotation. It doesn’t sound anywhere near the sheer clagginess of syrup and treacle. And I use the word clagginess with deliberation. Thick, sticky and gooey. Can’t you just feel the words cloyingly sweet in your mouth. 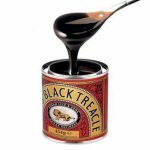 In fact in the North East of England there is a treacle toffee called claggum. Fabulous! They may well be sweet but not sassy. Sassy is reserved for sweets (desserts) such as a torte, bombe or sponge. A sponge is what mother used to make. It has to be light and luscious. 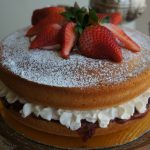 A cake sandwiching whipped thickened cream, fruit or jam or preserves. The word sound reflects the softness of the cake with soft consonants. It is vital when writing about a bombe to ensure that a) it is spelled correctly otherwise it becomes a very different item, and b) that even spelled correctly it is not confused with the code-breaking machine used at Bletchley Park during World War II. A bombe glacee, or simply a bombe, is an ice-cream dessert that has been frozen in the shape of a sphere, thus a bomb. The only explosion you’ll get with a bombe though is that of rich, creamy mouth-fill. Yum. I was taught that a torte originates from the Italian torta. (Like the subtle use of alliteration there?) 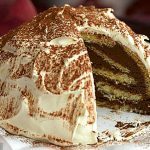 I have since come to learn that it can be filled with buttercream, mousse, fruits and often rum. 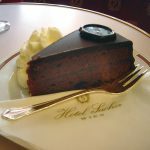 Probably the most famous torte is that devised at the Hotel Sacher in Vienna: the sachertorte. Now if that ain’t sweet and sassy I don’t know what is! Now where’s my dessert fork …!